This entry was posted in Islam and tagged blasphemy, blasphemy laws, Charlie Hebdo, France, freedom of speech, Obama, Resolution 16/18, United Naions by First.One.Through. Bookmark the permalink. In the US college campuses have their own “blasphemy” laws. Most colleges have speech codes and limit frees peach to little “zones.” This includes the majority of public universities. Unlike Europe the US government has thus far managed to avoid most infringement of our 1st Amendment rights. The 1st Amendment is known as the right which protects all other rights. But the laws of a country start with the norms of a society. Academia is setting a poor example by infringing free speech. This is bound to be transferred to law over time. In addition it sets a poor example to young people on handling the slings and arrows of life. Further it has been used on campuses to limit political speech, namely pro-Israel speech which the BDS and Solidarity groups find offensive, and which is often the minority view on campus. This is no surprise since pro-Plaestinian, pro-Muslim causes across Europe have used Europe’s hate speech laws mainly to target their critics. If we don’t change campus speech laws these 1st Amendment restrictions will be coming to US streets soon. 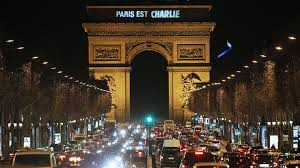 France probably got it right by saying they’re Charlie. Charlie’s dead as France probably is, too.